Our hope is that all persons might live a life of whole happiness. 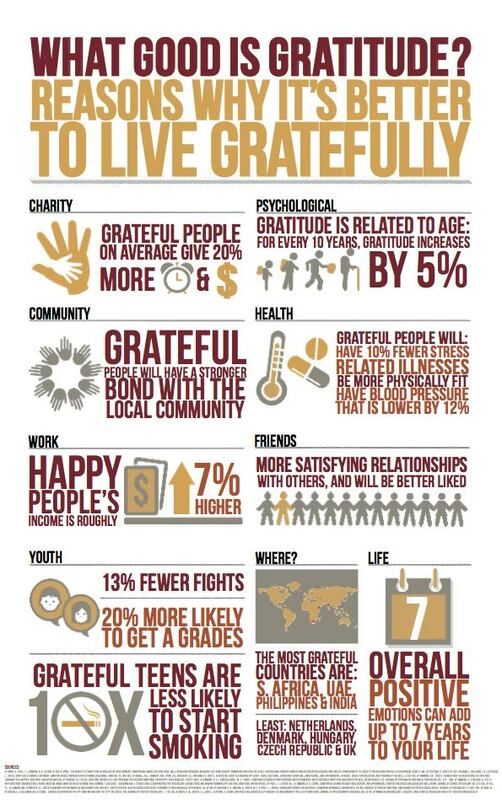 Many studies confirm that our mindful awareness of being thankful - and expressing that thanks - shapes our total life's sense of well being. A few more insights on practical ways to give thanks - and reasons to attune your own heart to gratitude.